Quranic healing verses medical treatment? Allah (swt) says in the Holy Quran Chapter 17 Verse 82, “We sent down in the Quran that which is a healing and a mercy to those who believe: to the unjust it causes nothing but loss after loss). This hadith throws light on the fact that the Holy Quran can heal us in a spiritual way. Apart from the spiritual healing the importance of medical treatment has also been stressed upon in Islam. In an authentic hadith, Prophet Mohammad (saw) says: "Yes, servants of God! Seek medical treatment". He also urged the doctors to make an attempt to identify cures and to pursue the essential scientific research for this purpose. In another authentic hadith the Prophet (saw) says: "Allah has not created a disease without creating a cure for it, which may be known to some and unknown to others". Prophet Mohammad (saw) was once asked: "Do our supplication, medication and methods of prevention prevent anything that Allah (swt) has willed?" He replied: "These are also part of Allah’s will". This makes it amply clear that one aspect of Allah’s can be prevented by another. Although disease occurs by God’s will, every Muslim is commanded to try to protect himself against it utilizing methods of prevention which also work by God’s will. The above mentioned ahadith clearly show us that spiritual/Quranic and medical treatment do not contradict each other but complement each other. Therefore, the Muslims should try to balance the use of modern medicine with Quranic prayers or ruqyah, which is a practice endorsed by our beloved Prophet Mohammad (saw). Assallam to all Muslimeen, Peace and blessing of Allah. 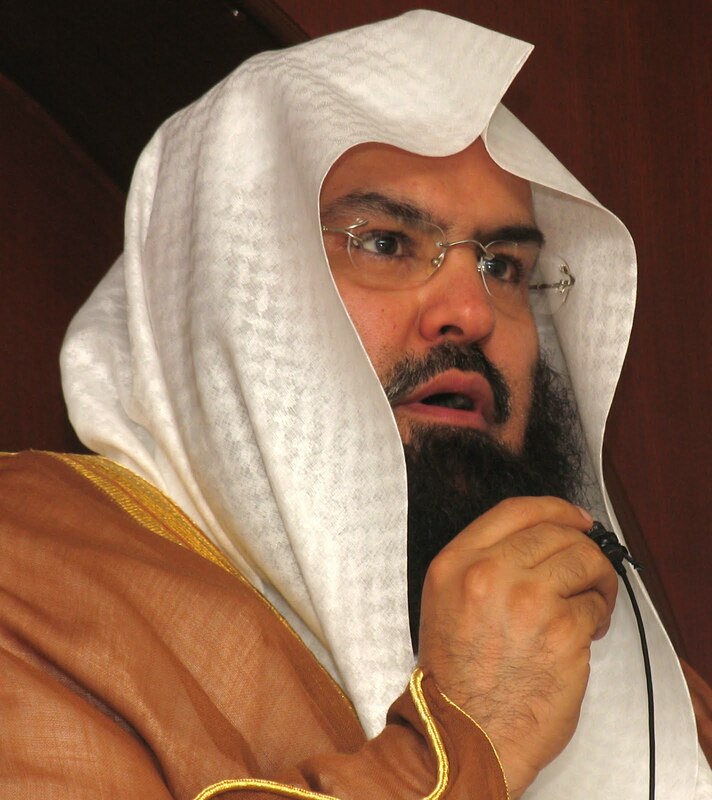 Sheikh Abdulrahman Al Sudais is the famous and very good and greatest when i listen Qur'an recitation with his audio mp3 quran. which I play daily basis . When I'm playing, I memorize and follow qruan. In fact I can confidently tell you that this he help me to love islam and quran . May Allah Allah bestow his blessings on him and continue to increase his deen e islam knowledge so that every muslim all over the world across the length and breadth of the world benefit from him. Assalamu Aleykum. salam . I do same thing, I have Quran that is in Arabic language and its in audio mp3 quran by sudais I don't know Arabic but I can understand the Recitations that are posted by sheikh abdul rahman sudais ruqyah in your site they are wonderful. May Allah grant him Jannah. Assalamualaikum ya sheikh ya ustaadhi I always listen to your beautiful recitation Allah subhanawataala make our grant our children this beautiful gift of memorizing the holy quraan AMEEN Request for duas. shukran maasalaam. I could not save it on my phone, can someone please educate me on how to save it on my BB10? Brother. Please try UC Browser. To download this and it will saved on your phone directly. ASSALAM O ALAIKUM MY FATHER IS SUFFERING FROM CANCER CAN ANY ONE PLEASE TELL ME HOW CAN I DOWNLOAD RUKIYA AL SUDAIS PLEASE ?? Jezaakellah Kheyeral jaza Ya shekh sudaise Allah yahfezek Allah yahfezek, Ameen. Please Write Complete DAROOD, instead of just Typing "S.A.W"
Please Write Complete and Proper DAROOD, instead of just Typing "S.A.W"....Please do it always and correct on As Soon AS Possible Basis, wherever you wrote that mistake/Typo. For the Sake of Muslim and Muslim Unity, Please do it as earliest as possible basis. Assalamu alaikum.... is this ruqyah protect my baby from bad evil sight? if it can.... then kindly tell me the process of this amaal? Asalam alkykm watahmaturwahi wabalakat . Masha Allah I'm pleased to have downloaded the ruqya from sheikh sudais may The Almighty reward him abundantly . My question is. Is it possible to put the downloaded ruqya on a bottle of water so dat I can take it as ruqya like how other sheikhs do it and give it to us? Thanks a lot u dear sir. Zak Allah humma khairan kaseera.